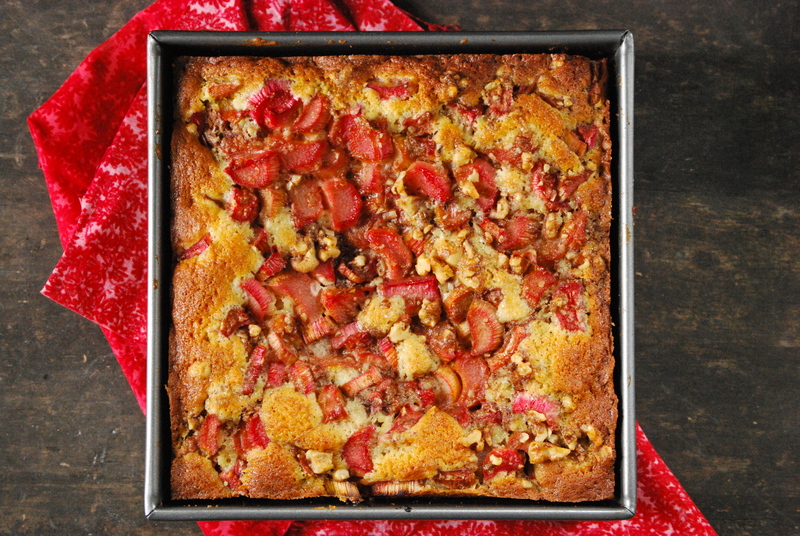 This reminds me of one of my favorite dishes ever, rhubarb crisp. Ergo it looks wonderful. 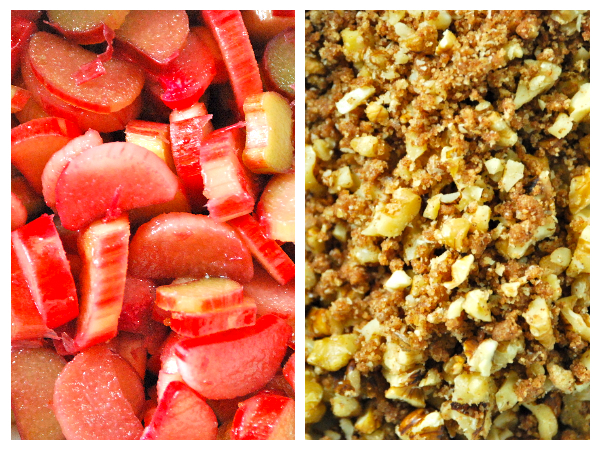 I think it’s a little funny that I was in love with rhubarb at age 8 but so be it. The price is still high in our area but I’m waiting expectantly. 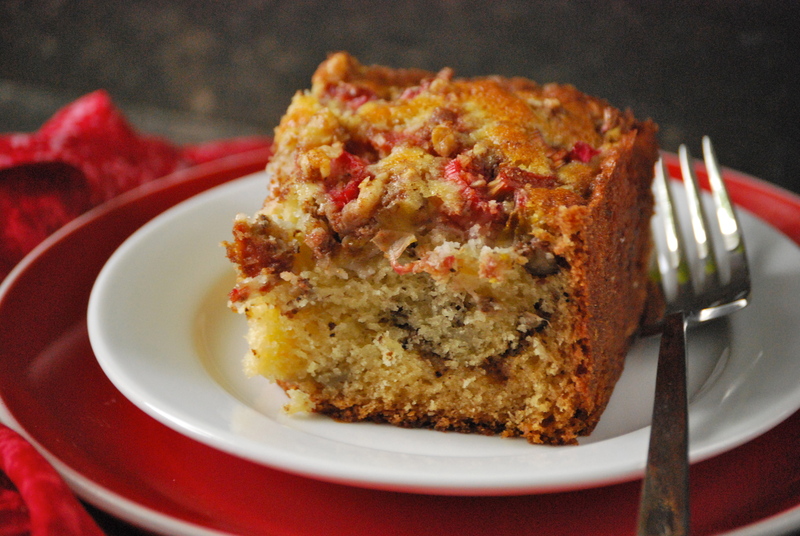 I hope the price in your area drops quickly, so you can enjoy some rhubarb! 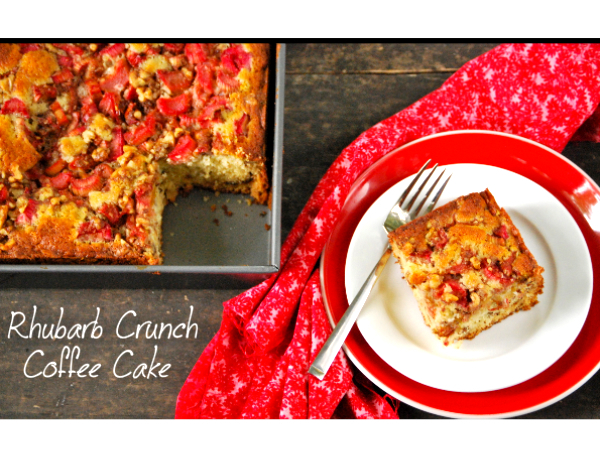 I just love rhubarb and this cake looks like the absolute perfect way to eat it. I’m so excited for rhubarb season! This sounds great! Will have to try making it #gf and let you know how it turns out! Sounds great — would love to hear how it goes! 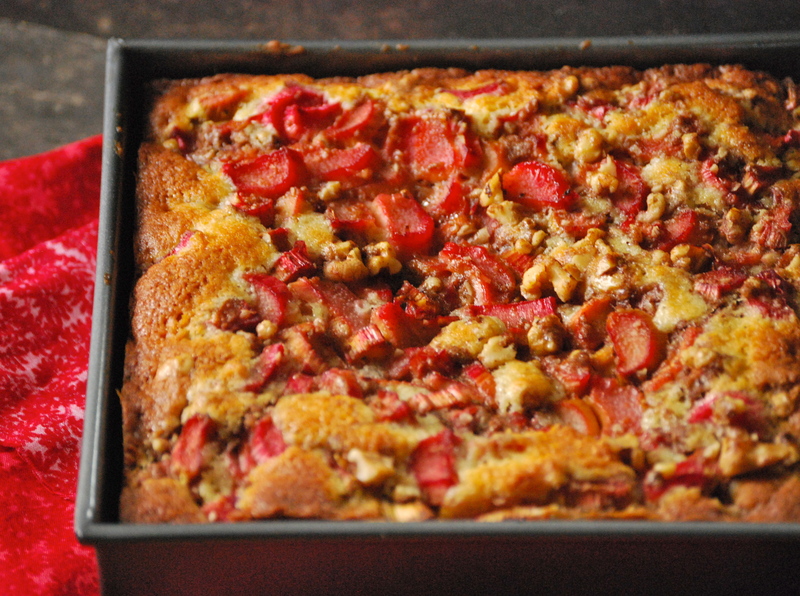 I just made rhubarb bread yesterday with some from my little rhubarb plant. It was from a recipe in our local paper. I used yogurt instead of buttermilk and it was great! This recipe looks fabulous and will definitely be showing up at my house sometime soon. Thanks, Tanya! Glad to hear you’re using all of that yogurt! 😉 Hope you enjoy the cake. 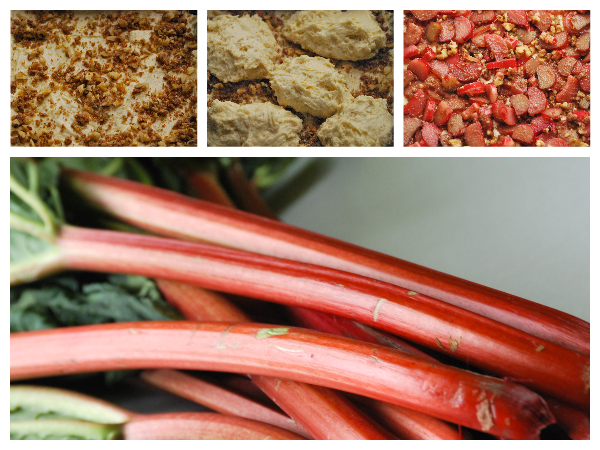 Look at that vibrant rhubarb – so pretty! I hope I have some time to try it this weekend – I’ll give the whole grain flour a try and let you know how it goes. Hooray for the return of farmers’ markets and rhubarb!